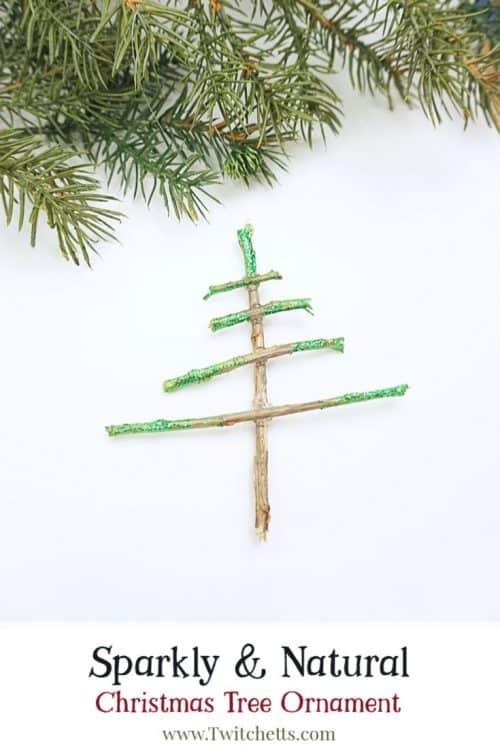 Make sparkly tree-shaped Christmas ornaments using sticks you have laying in your yard. 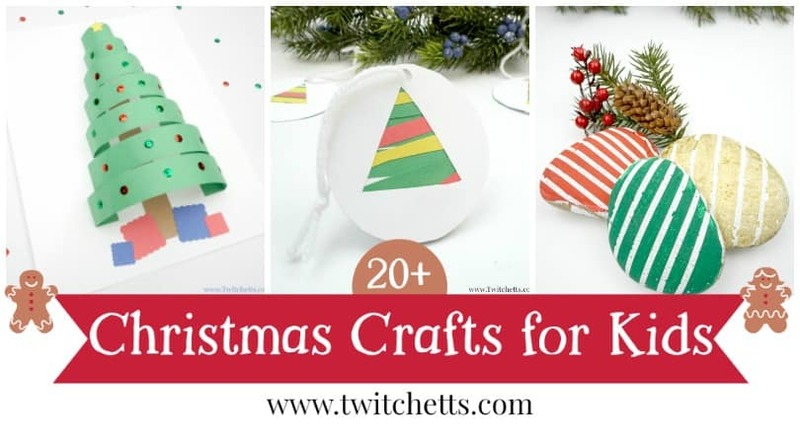 Simple supplies and a Christmas decoration that shimmers. 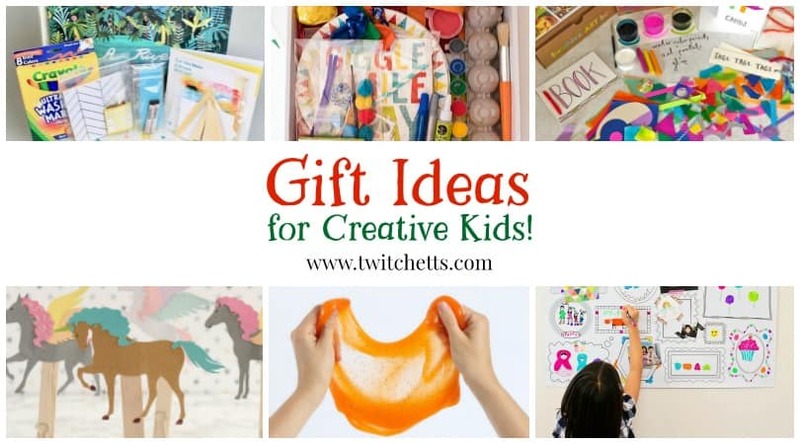 Your kids will be so proud to give these ornaments as gifts. 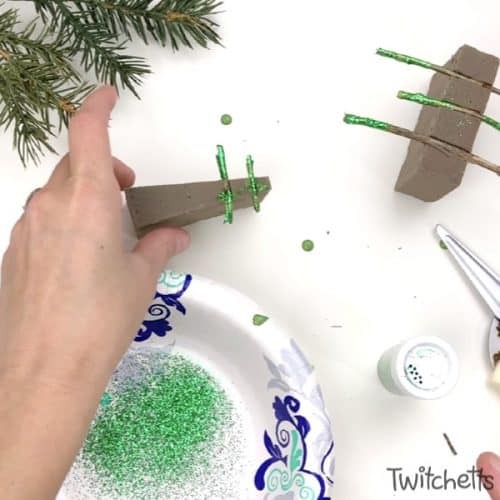 We had so much fun making the glittery stick snowflakes we had to make trees too! These are so fun to make! 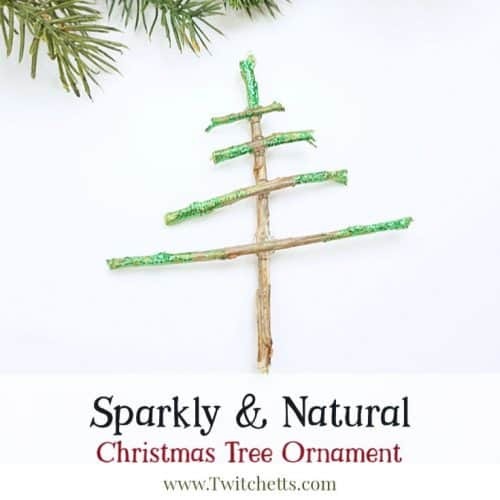 Yes, they do use glitter, but it’s Christmas season so a little glitter is ok…. right? Need supplies? 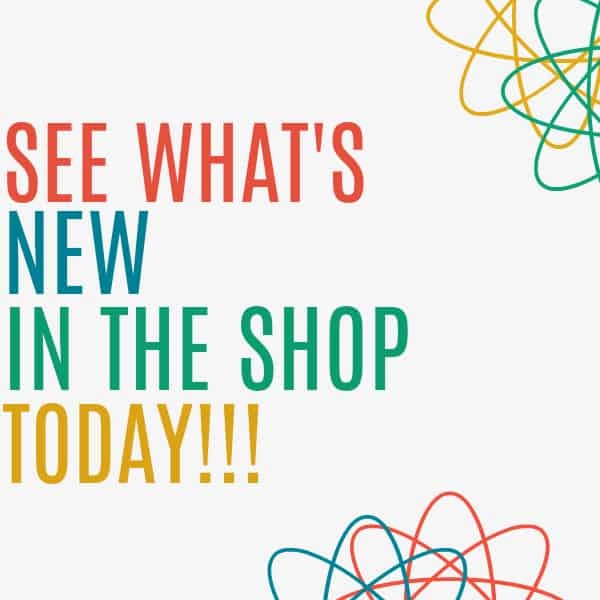 Grab yours from our Amazon shop! Start by cutting or breaking your sticks. 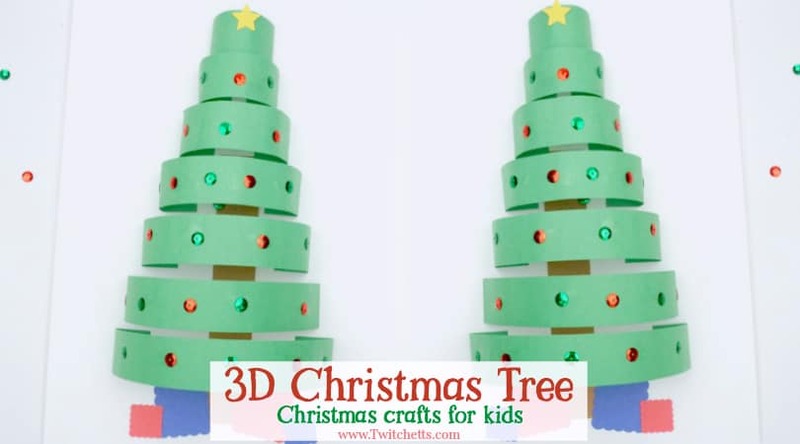 You will want to make them smaller and smaller to create a tree shape. 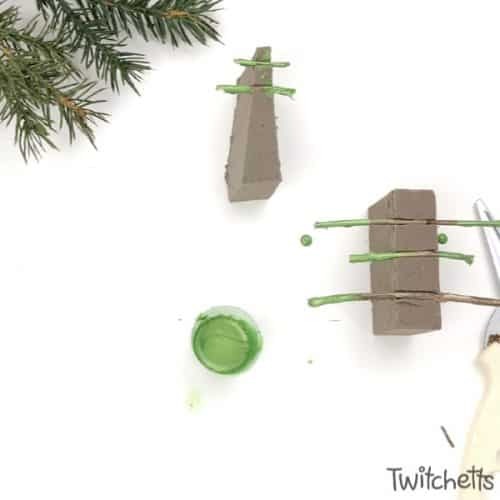 Then cut your wet foam so your sticks hang over the edges a bit. If your paint is thicker thin it out will a little bit of water first. 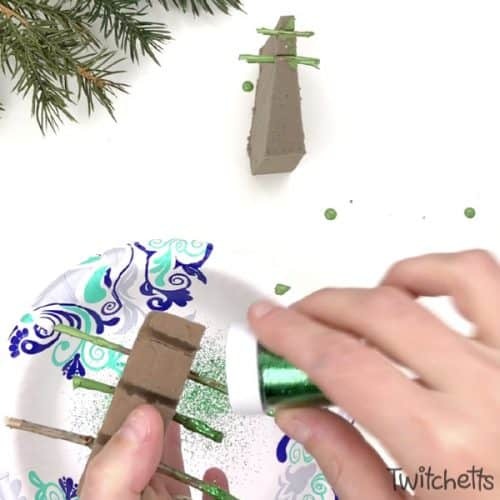 Then dip both sides of each stick and place back in the foam. Tilt your paint a bit to get up the sides more if you need. 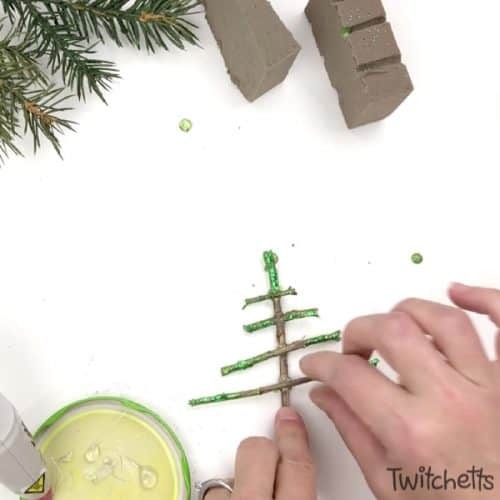 Now over your paper bowl add glitter to both sides of your sticks. Make sure to do this when the paint is still a bit wet. 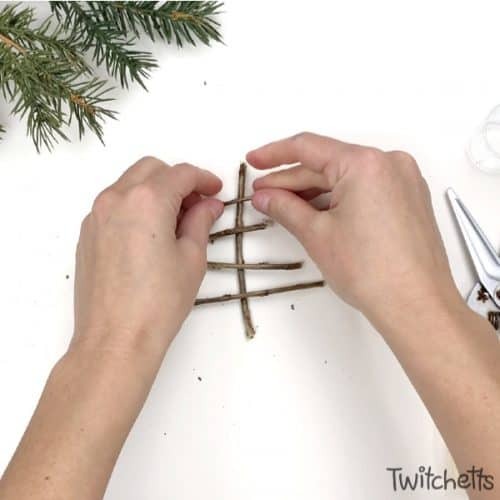 Give your sticks plenty of time to dry. 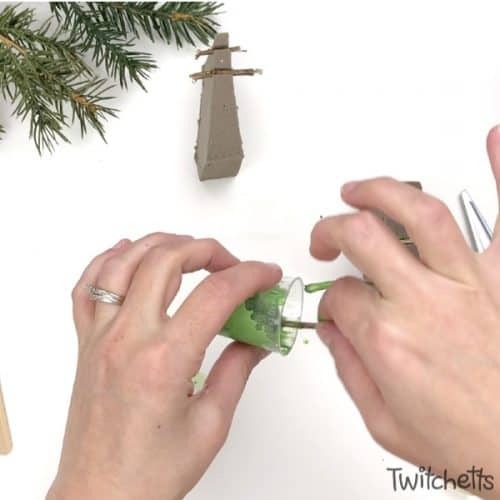 using hot glue assemble your tree. 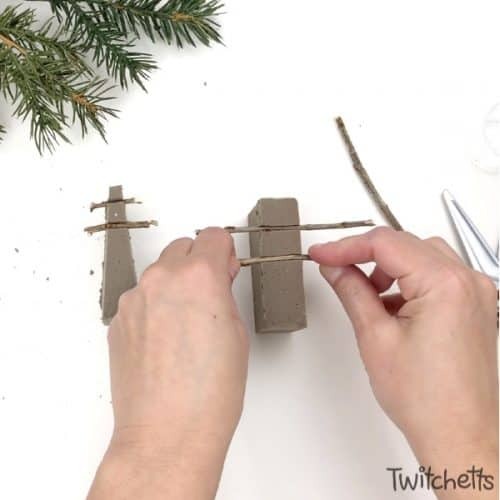 Add clear string for hanging with a bit of glue. 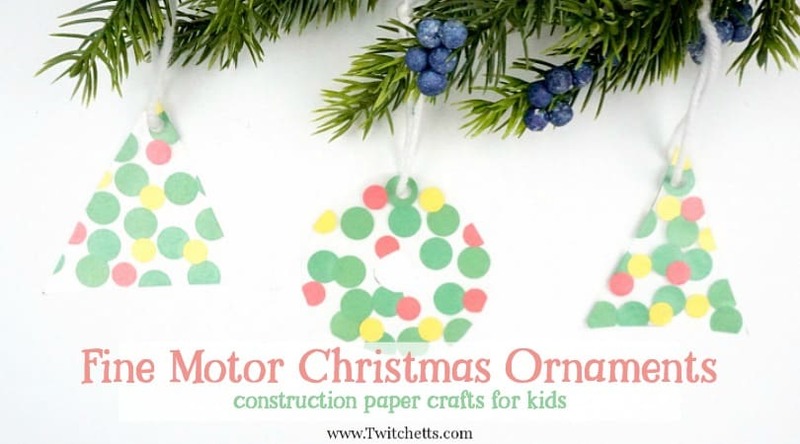 Your kids will LOVE creating these fun tree-shaped Christmas ornaments. 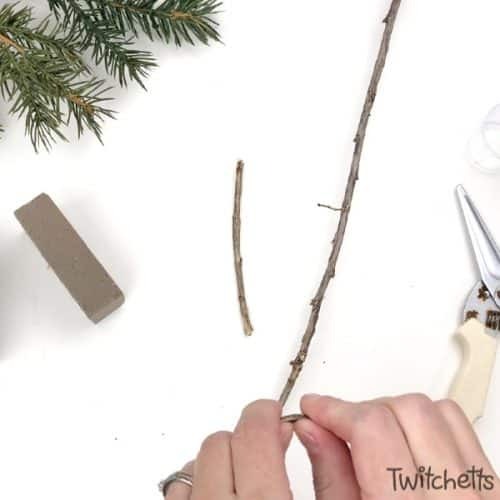 From collecting the sticks to giving them as gifts. 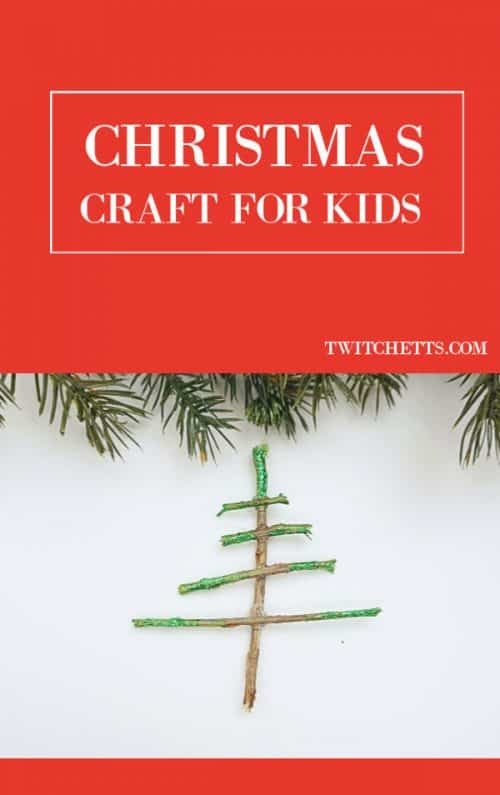 If you enjoyed this Christmas craft, please pin it to your favorite Pinterest board.